Unique double-sided scarves incorporate your organization’s colors in classic British style. 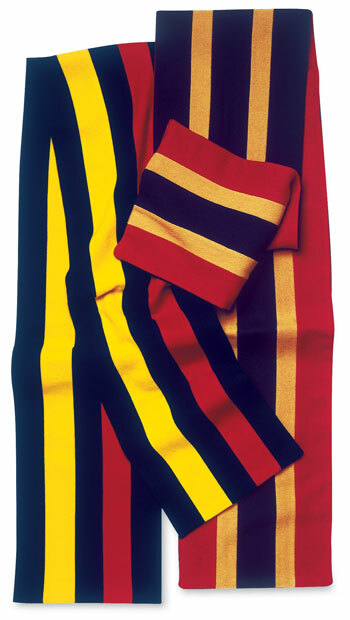 Sometimes colors feature the “university stripe” on one side of each scarf, while the reverse side shows the colors of the constituent school. Cashmere scarves also can be knitted in traditional block stripes, or with solid sections on reverse.